Click the "Add Files" button to add the files that will be converted. Click the "Add Folders" button to select every image in the directory(s). "Remove" and "Clear all" take chosen files back out. 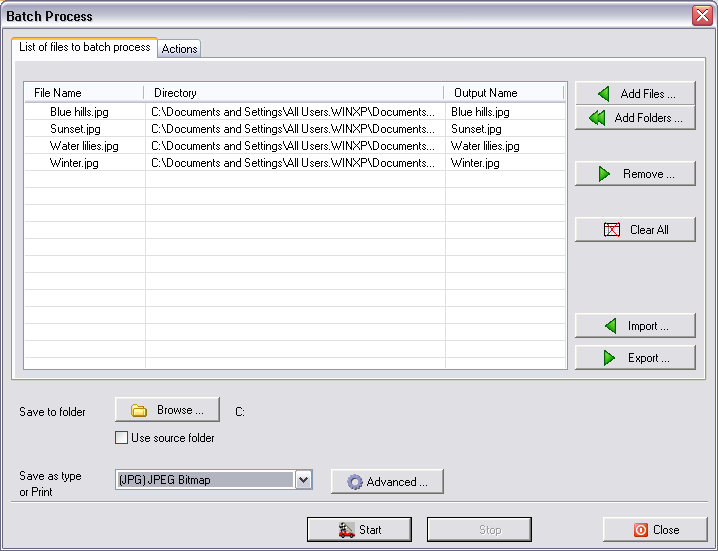 Select the output directory at bottom left. Click the Browse button to find it. When you have selected a directory with Browse, click the OK button. 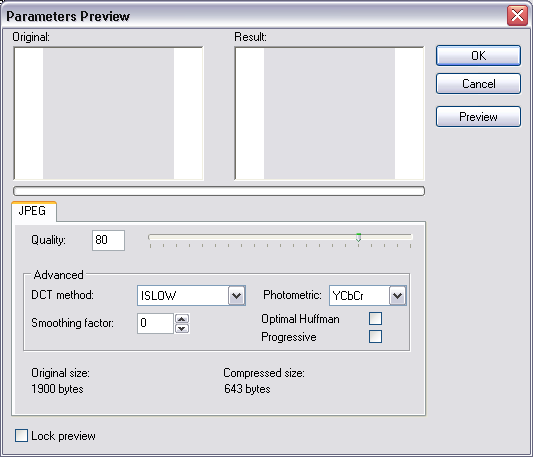 Select the output format at bottom left ("Save as Type or Print"). 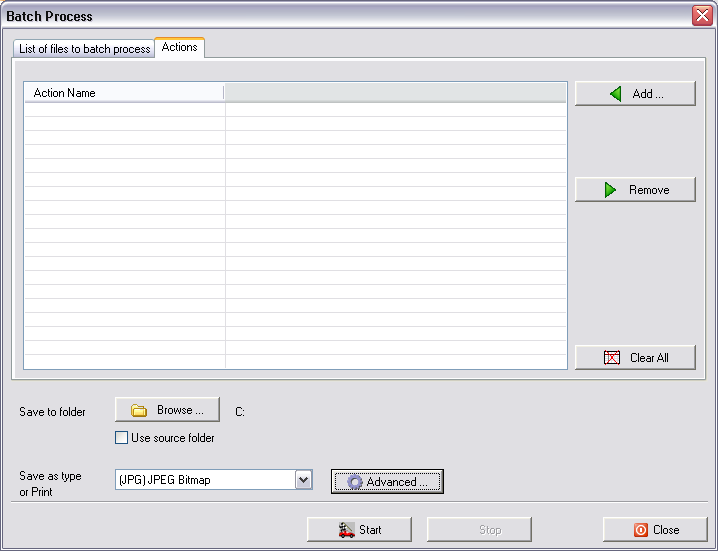 The "Advanced" button lets you choose various parameters to perform. Click the "Start" button to begin. A box shows the progress of the conversion. If you need to halt, click the "Stop" button. When the process is done, click "Close" to close the dialog.